Jack Patterson headed down towards his local lake not far from Brimbank Park in search of some big Carp. Using heavy gear and loading up the 1/0 circle hooks full of corn kernels Jack caught many carp. 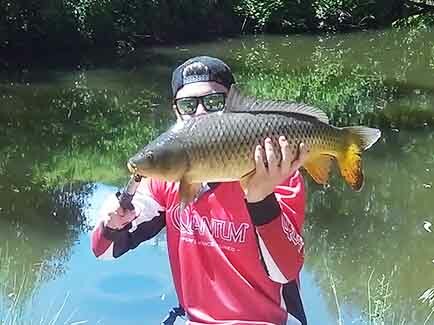 The biggest carp going an awesome 70cm in size which gave a really big fight and took some effort to keep away from the structure. Brimbank park is a great place to fish for Carp just watch out for those moving sticks. Thanks for the report Jack.